Kent Hovind and Dinosaur Adventure land Set Up For Waco Style Attack. When the U.S. government raids Dinosaur Adventure Land remember it was recorded here on 1Jul2017 that DAL was being set up by Theo and Deborah for the government attack.. 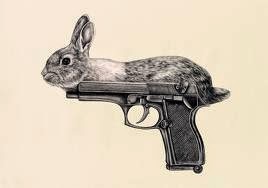 The Waco ministry was accused of stockpiling guns and child endangerment. This same two narratives are being pushed by Deborah Henderson (or is it Deborah Daw?) on her YouTube Channel. She also pitched the same old tired government set up keywords compound, guns, cult, anyi-government, police are afraid and neighbors are afraid over and over again. 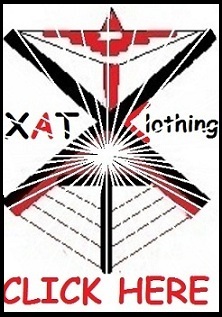 YouTube deleted the xatisis channel after he posted a video about the murderous government Waco attack and the JFK hoax. You can leave a comment for him below. He will also respond to the comments here or on your Youtube channel if you leave a link. A 19-year-old man was shot in an apparent robbery about 1 a.m. in the 7900 block of South Saginaw Avenue. The man was walking down the street when someone he didn't recognize approached him, pointed a gun into his stomach and announced a robbery.When the man tried to push the away, the man began shooting. <font color="#000000"></font> The man was hit in the hand and thigh and was taken to Northwestern Community Hospital, where his condition was stabilized. A 15-year-old girl was shot in the 6900 block of South Justine Street in the Englewood neighborhood about 1:05 a.m. The girl was taken to University of Chicago Comer Children's Hospital, where her condition was stabilized. A 17-year-old boy and a 22-year-old man were critically injured in the 4300 block of West 25th Place.The two were standing on a porch when two people stepped out of a vehicle about 2:50 a.m. and started shooting. The 22-year-old was hit in the head, and the 17-year-old was hit in the arm, chest and back. Both were in critical condition at Mount Sinai Hospital. At about 8:45 p.m., two men were shot in the 7400 block of North Ridge Boulevard in the Rogers Park neighborhood. The other man, also 29, was hit in the leg and taken to Advocate Illinois Masonic Medical Center, where his condition was stabilized. A 46-year-old man is in custody after beating a woman, hitting her young son when he tried to intervene and throwing an 18-month-old girl out a vehicle window early this morning. About 2:40 a.m., the man began hitting a 23-year-old woman inside a vehicle near the intersection of East 75th Street and South Cottage Grove Avenue. Police described the assault as domestic in nature. When the woman's 7-year-old son tried to intervene, the suspect hit him as well. The man then threw an 18-month-old girl out a window of the vehicle.The girl was hit by the vehicle as the driver fled. A man died after being beaten and then run over by a car in the Little Village neighborhood early Sunday morning. The attack happened about 5:35 a.m. in the 4100 block of West 26th Street. The attack followed an exchange of gang slogans. After he was beaten, the car made a u-turn and ran the man over. A 59-year-old man believed to be homeless was beaten to death in the Logan Square neighborhood Saturday night. Two men or boys jumped out of a car, beat him and then fled, police. It's not clear why. Two men were shot to death and 14 others wounded in shootings across the city Saturday afternoon into Sunday morning. The most recent homicide happened about 11:30 p.m. Saturday in the 3400 block of West Madison Street near Garfield Park in the East Garfield Park neighborhood on the West Side. Someone walked up to the 20-year-old man and shot him. 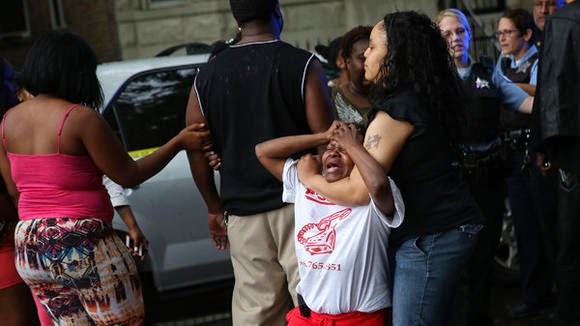 A 15-year-old boy died after a shooting in the Bronzeville neighborhood Sunday afternoon and seven other people were injured in city gun violence Sunday afternoon and evening. The fatal shooting happened about 11:20 p.m. in a basement unit of a two-story tan brick building in the 6200 block of South St. Lawrence Avenue on the South Side. The male who intervened left the apartment but returned soon after and shot the 16-year-old in the chest. A 23-year-old man walked into Mercy Hospital and Medical Center after being wounded in an early morning shooting in the city's Noble Square neighborhood.According to preliminary reports, the man was sitting in a car about 3 a.m. on the 1300 block of West Division Street when a gunman approached and fired shots, striking the victim in the arm and hip. The man walked into the hospital, where he is listed as in good condition. The hospital is about 6 miles southeast of where police said the man was shot. A 19-year-old man police were questioning after a West Englewood slaying on Wednesday has been released without charges. The man had been held in connection with the killing of Joseph Brittman, also 19. Brittman was shot in the back and died in a homicide. The victim was outside about 3:05 p.m. Wednesday when he had "verbal altercation" with another 19-year-old and was shot in the back. New sexual assault and robbery charges stemming from two additional incidents have been filed against a 30-year-old man already in jail in similar attacks late last month near Midway Airport and on the Northwest Side. James Whiteside, of the 600 block of West Deming Street on the North Side, was charged with aggravated criminal sexual assault with a weapon, armed robbery, aggravated vehicular hijacking, vehicular invasion, attempted aggravated criminal sexual assault with a weapon, aggravated battery of a child under the age of 13, and armed robbery. Whiteside is scheduled to appear in court on Saturday. 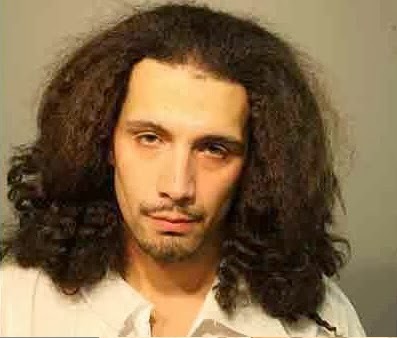 The new charges involve attacks that happened the day before and the day after the pair of Dec. 27 attacks in which he’s already being held without bail -- which occurred near the Orange Line at Midway Airport and in the Montclare neighborhood on the Northwest Side. Whiteside was identified as the person who, while armed with a knife, sexually assaulted a woman in the 7000 block of North Clark Street on Dec. 26, 2013, before taking her money and fleeing in her vehicle. Two days later, he was also identified as the offender who entered the vehicle of a 29 year old woman in the 1200 block of North Milwaukee Avenue, and demanded her money and car keys while holding a knife. The woman’s child was also in the car during this incident Whiteside placed a knife to her neck while she was holding her 3-year-old daughter. He demanded money and the keys to her car. He then grabbed the victim by the neck and snatched her cell phone, which he broke into pieces after it rang. When Whiteside saw the woman’s husband walking up, he fled through a parking lot. On Dec. 30, Whiteside was held without bail in connection with the two Dec. 27 attacks. The first of those happened in the Montclare neighborhood about 2:30 a.m. on Dec. 27. Whiteside attacked a woman trying to get into her car after leaving a White Castle restaurant near Belmont and Harlem avenues, according to police. The attacker pushed his victim into her car as she opened the driver-side door and, holding a pair of 3-inch scissors and covering her mouth, told her not to scream. The woman told police she noticed the man as she walked into the White Castle but didn’t pay much attention to him because she thought he was homeless, according to the report. The man threatened to kill her, then drove her to a nearby side street and raped her. The man then kept her in the car, drove until the car broke down on Diversey Avenue and threw her car keys away. He took the woman's phone and debit card and walked her to a bank to try to withdraw money. The two walked to a nearby gas station and the attacker used $50 he stole from the woman to pay a stranger for a ride to his aunt house in the West Humboldt Park neighborhood, according to the report. They stopped at a McDonald's along the way. The attacker gave some of the woman's money to people at his aunt's house, according to the arrest report. He then called a cab, took two children and the victim with him to a McDonald's and then to Harlem and Belmont avenues where he dropped her off. He told her not to say anything to anyone and then left. The woman went to a building a few blocks away and called 911. She told police the man said his name was "James" but that "she should call him Mr. White or (Sergeant) Nelson" . The second attack happened about 4:15 p.m. that same day in a secured parking lot off the Orange Line at Midway Airport. Chicago police warned people in the area to be vigilant after the attack. Police said the attacker pushed a 69-year-old woman into her car as she opened her door and demanded money from her before he raped her, according to a police report. He tried to leave the lot by driving the woman's car but couldn't find a parking card, so he told the woman to be quiet and duck while he used her money to fill out a parking slip and pay the attendant, according to the police report. The woman feared for her life because her attacker drove her to the West Side and repeatedly threatened her, according to the police report. While driving around the West Side, her attacker "purchased narcotics" twice and picked up a woman he knew, drove to a liquor store and used the 69-year-old's ATM card to get $200, according to the report. He dropped the woman off at a bus stop and she told the attacker to be careful, according to the report. He then left the victim and her car in the West Garfield Park neighborhood at Madison Street and Pulaski Road. The victim called 911 but left the area to report the crime from closer to home, according to the report. After the 911 call, two more withdrawals were made from the woman's bank account, for a total of $300, according to the police report. Whiteside "implicated himself" in the attacks in conversations with other people and gave details consistent with the victim's account, according to his arrest report in Dec. 27 attacks. He told residents he "robbed and raped a woman the night before," according to the report. 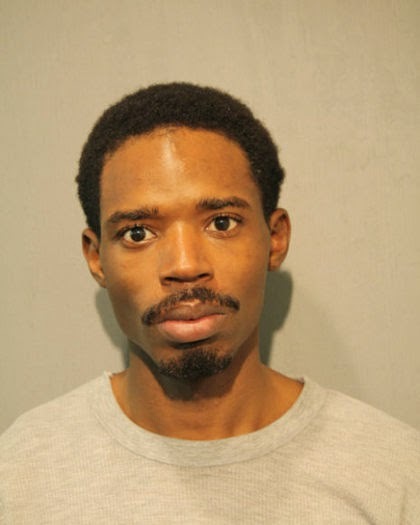 Detectives were in the West Humboldt Park neighborhood when Whiteside showed up to a building where detectives were investigating and tried to run when he learned detectives were there, according to the report. 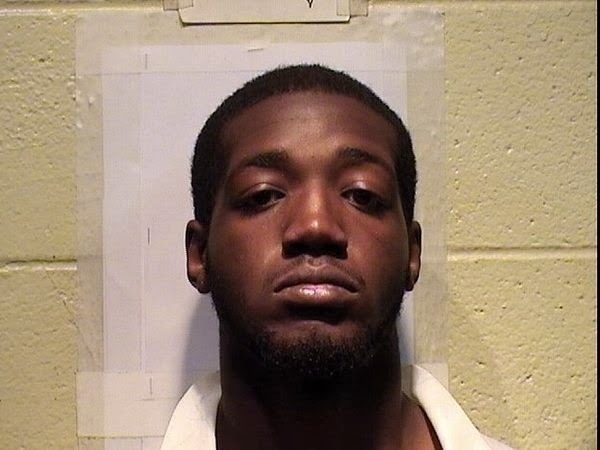 A 23-year-old man was found guilty today of sexually assaulting a woman in her Lincoln Park home during a home invasion. Darrell Moore was convicted of 11 counts of aggravated sexual assault and one count of home invasion in a September attack. Moore then led the woman around the apartment demanding money and jewelry before forcing her back into the bedroom where he continued to attack her. During the attack, a neighbor discovered the victim's purse on the back stairs of the building and called police. Police arrived at the residence and tried to make contact with the woman, but Moore had covered the woman's mouth so she could not yell. Police eventually entered the apartment and found Moore in the woman's bed. Several condoms that matched Moore's DNA were found inside the home, the release said. The other three people involved in the crime pleaded guilty to home invasion. David McAfee, 19, was sentenced to 20 years in prison; Justin Hannah, 20, was sentenced to 14 years; and Kristopher Fox, 25, was sentenced to 12 years in prison. Moore faces up to 66 years in prison when he is sentenced in February. A West Side man got so angry when his girlfriend visited another man to buy marijuna that the first man arranged a marijuana buy himself and then shot to death the second man. 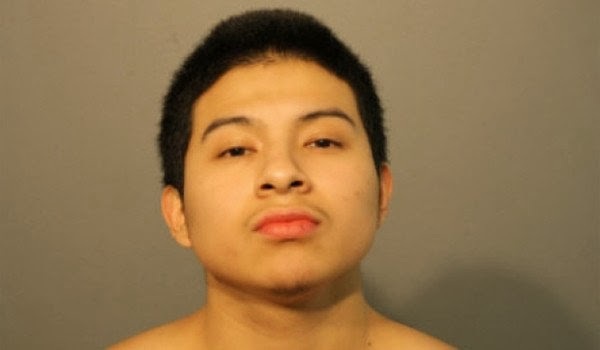 Mario Ortega, 19, was ordered held without bail in a hearing today before Criminal Court Judge Adam Bourgeois, Jr. on a first-degree murder charge in the Sept. 20, 2012 slaying of Efrain Cruz, 25, in the gangway of his Humboldt Park home in the 3200 block of West LeMoyne Street. At the time of his murder arrest Wednesday, Ortega, of the 4600 block of West Ohio Street, already was in jail after being arrested about 3:30 p.m. Dec. 12 on a heroin charge in the 1100 block of North Springfield Avenue. He pleaded guilty in November to a drunken-driving charge, and is on probation in that case. The chain of events that led to Cruz’s killing started when Ortega’s girlfriend bought marijuana from Cruz at Cruz’s home. When Ortega heard his girlfriend had been to see Cruz, he became angry, confronted his girlfriend in front of other people, threatening to “take care” of Cruz, and then got into a red car and left. Ortega went to Cruz’s home, where he found Cruz’s girlfriend but not Cruz. Ortega, who was wearing a grey hooded sweatshirt, told Cruz’s girlfriend he wanted to buy marijuana from Cruz, then left in a red car. When Ortega returned home, Cruz went to Ortega’s home again, and Cruz, in front of his girlfriend, gave Ortega his phone number, after which Ortega left again in the red car. Ortega called Cruz about 11:35 p.m., and Cruz left the house, apparently to sell Ortega marijuana. Cruz’s girlfriend was with him when he got the call, and she heard gunshots soon after Cruz left the house. She ran outside and found Cruz lying in a gangway, and saw a man or boy wearing a grey hooded sweatshirt running down the alley. Another witness saw a man or boy who matched the description the girlfiend gave run and get into a red car. The witness was able to identify the person who ran and drove off as Ortega. Soon after the shooting, Ortega met up with someone and told them he had shot someone. Investigators were able to determine that Ortega called Cruz three minutes before the shooting, and records also show Ortega’s phone was in the area of Cruz’s home at the time of the shooting. Police issued a community alert this afternoon warning a man who sexually assaulted a teen at knifepoint this week in the city's Woodlawn neighborhood. About noon Tuesday, the teen was walking on the 6200 block of South University Avenue when she was approached by a man who pulled out a large kitchen-type knife and sexually assaulted her. A 51-year-old prison inmate has been charged with murder in the killing of a 57-year-old woman during a 2009 break-in. George Patterson, of the 1400 block of South Canal Street, faces one count of murder in the August 9, 2009 killing of Iris Ambrose in her home. Patterson was ordered held without bail in a hearing midday today before Criminal Court Judge Adam Bourgeois Jr.
Patterson, who is currently serving time for a retail theft, is accused of fatally beating and strangling Ambrose during a pre-dawn robbery in the 6800 block of South Marshfield Avenue. Someone Ambrose knew borrowed her car the night before she was found dead. About 2:30 a.m. or 3 a.m. on Aug. 9, the witness received a phone call from Ambrose, who left a voice mail asking when the car would be returned. When the witness returned to Ambrose's house, they found the front gate and the home's front door open, and found Ambrose on her couch, injured. The witness called 911. Although police have said they believed the home-invasion was meant to be a burglary, Ambrose's jewelry and purse were not taken. Following an autopsy, the Cook County medical examiner's office determined Ambrose died from strangulation, but also found she also suffered head wounds, bite marks on her tongue and abrasions to her neck. DNA evidence gathered from under Ambrose's fingernails identified Ambrose. Area South Cold Case detectives identified Patterson as the suspect in Ambrose's killing using the DNA evidence. A Comcast worker was shot and seriously wounded early this afternoon after parking his truck in an alley in the South Shore neighborhood on the South Side. Two men approached the worker around 12:55 p.m. in the 7600 block of South Kingston Avenue, took his cell phone and wallet and shot him in the stomach. The robbers fled in a white car. The worker, 45, was taken in critical condition to Northwestern Memorial Hospital. The worker's truck was parked in the alley between Kingston and Essex Avenue when the robbery occurred. A 37-year-old man whose roommate had invited people to their apartment to attend a birthday party is charged with killing one of their guests with a butcher knife Monday. Adan Montano, of the 2900 block of West 63rd Street, was charged with first degree murder and was ordered held in lieu of $1.5 million bail in court. At about 9 p.m., Montano left his room and jointed the party and began acting "strange and belligerent" and began bothering the guests including the victim, Stephanie Serrano, 19. Montano was warned to that if he wanted to remain at the party he needed to stop bothering the female guests including Serrano. Montano continued to bother the female guests and at one point began brushing his teeth in front of the female guests using a household cleaning product. After Montano refused to stop bothering the guests he was told to leave the party and to return to his bedroom. Montano became upset and when the person throwing the party turned away, Montano punched him in the back. The person throwing the party responded by punching Montano in the mouth. About an hour later, as the party was breaking up Serrano, the person throwing the party and a female guest walked out to a porch. Montano then came out of his room with a beer and a butcher knife and tried to stab them. When the person throwing the party and the female party-goer saw Montano with the knife they fled the porch and returned into the apartment. But as Serrano tried to flee she fell to the ground and Montano pounced on her and began to "viciously attack her with the butcher knife as she screamed out for help" . Montano stabbed her multiple times, including to her face, arm, hands, and the knife even penetrated her heart. She was taken to Mount Sinai Hospital and pronounced dead there. A few moments later he walked into a police station with a gash on his head claiming to have been jumped by gang members. He asked for an ambulance. Police said he matched the description and was identified by witnesses. An apparently human skull has been found by workers at a two-flat in the Logan Square neighborhood. The foreman of the work crew and officials said the skull was found in a plastic Jewel bag in the 3500 block of West Wrightwood Avenue. Workers discovered the skull behind the wall in the attic. A 25-year-old Northwest Side man has been charged in the mid-December sexual assault of a teenage girl whose injuries were so severe that she remains in critical condition. Detectives were led to Luis Alberto Pantoja, 25, through DNA that officials collected from a condom wrapper found near the Belmont Cragin backyard where the girl was attacked just before dawn Dec. 17. Pantoja was arrested at his home on Friday without incident, police said in a statement, saying additional physical evidence was recovered then. Pantoja, of the 5500 block of West Wrightwood Avenue, is charged with attempted first-degree murder, aggravated criminal sexual assault, aggravated battery and unlawful use of a weapon by a felon. He was ordered held without bail during a hearing today. Authorities asked for a sign language interpreter during the hearing. Pantoja is hearing-impaired. Pantoja was found with a gun -- police said in a release it was a .32-caliber revolver-- but it's unclear if he had it during the attack. The attack happened in 2400 block of North Long Avenue about 5:25 a.m. The girl was found by a neighbor about two hours later, half-clothed and bleeding from the head. Further investigation showed that the girl was actually attacked an hour earlier than detectives originally thought. When she was attacked at 5:25 a.m. on Dec. 17, the girl was on her way to catch a bus so that she can meet her father, who was to give her a ride to school. He said the girl would usually leave a little later in the morning to do all that, which is why police thought the attack initially occurred later in the morning. The DNA evidence was submitted to the Combined DNA Index System -- a federal database that tracks DNA profiles of convicted felons. Chicago police acquired a match from that database because Pantoja had been required to submit a sample of his DNA to law enforcement following a felony conviction for his role in a fatal 2007 traffic crash. In that case, Pantoja was sentenced to six years in the Illinois Department of Corrections after pleading guilty on March 4, 2008 to possession of a stolen motor vehicle and failure to report a traffic crash that involved death. In the plea deal, charges of reckless homicide and failure to report an accident involving death were dropped. Police officials declined to say who identified Pantoja as the attacker in the Dec. 17 attack on the 15-year-old. The 15-year-old girl was initially reported in a coma with severe head injuries. Late last month, officials said the girl's condition had improved and she was talking with police. Police said in a news release today that she remained in critical condition at Mt. Sinai Hospital. Pantoja has a long criminal record dating back to 2005, with arrests and charges for theft, possession of a stolen motor vehicle, domestic battery after an order of protection was filed, trespassing, possession of cannabis, failure to report an accident involving death/reckless homicide, leaving the scene of accident, and eluding police. In August of 2013, Pantoja was arrested for criminal sexual assault. On Aug. 29, a public defender was appointed and appeared before Judge Maria Kuriakos Ciesil, who set bail of $200,000.